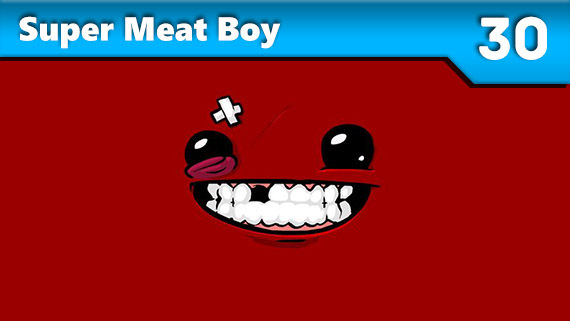 How to play Super Meat Boy- first, you look at the new level and give in to soul-crushing despair. All those whirring blades, spiky outcrops, and precision jumps don’t seem possible by the hand of mortal man. Add in pursuing an A+ rating for achieving a good time, getting the bonus bandages that are placed in super-tricky areas, and not flying to your doom by overshooting a jump, and every new level looks like an exercise in madness. Then you come to terms with the controls, blow off a few dozen lives experimenting, and finally feel like a platforming god when you survive by the skin of your teeth. The Xbox 360 exclusive, at least in North America, is among four new Tales games released in the last five years. Featuring a fearless vigilante, a young prodigy, and a mysterious old man, the cast contains some of the best characters in the series. 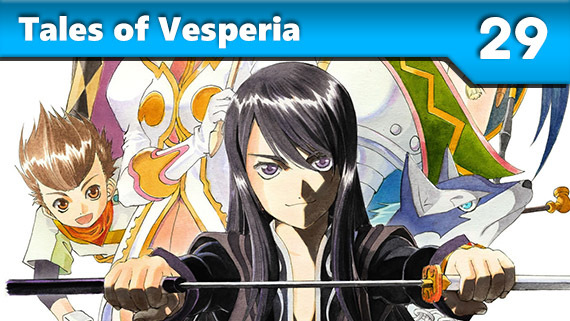 A captivating story mixed with the evolutionary combat system and beautiful visuals finalizes Tales of Vesperia’s place in video game history and one of the best Japanese RPGs this generation. It’s a shame that more gamers were unable to experience it as its release on the PlayStation 3 was restricted to Asian markets only. If Ubisoft was aiming to resurrect the 2d sidescrolling as a legitimate near AAA level genre then Rayman Legends was quite possibly their best shot at doing just that. Rayman and his fellow heroes make a triumphant return in what is easily a defining platforming experience of this generation. 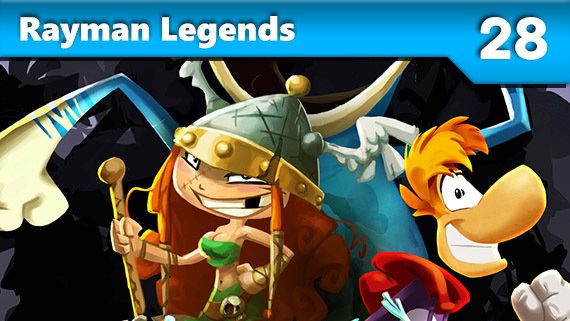 Taking the simple formula of 2d platforming to new heights Rayman Legends combines great visuals, phenomenal music and outstanding and addictive gameplay, making Rayman Legends a must play. Not just for fans of 2D sidescrollers but for all fans of of gaming. 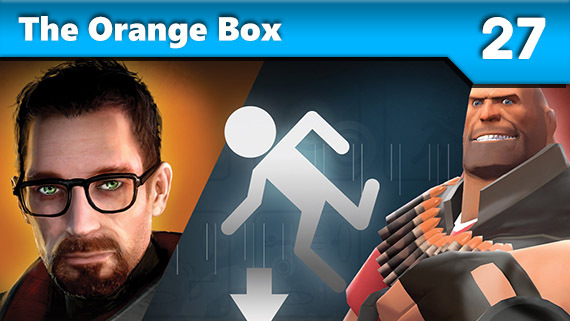 Featuring Half-Life 2, its two episodes, Team Fortress 2, and introducing the the instant classic Portal, not only is every game within The Orange Box a game of the generation candidate, but The Orange Box itself is easily the deal of the generation. Half-Life 2 and its episodes delivered a dramatic story, Portal delivered the laughs, and Team Fortress 2 delivered a zany, but strategic multiplayer component. Even imagining a more content-rich package for the incredible price of sixty-dollars would be selfish. Is it wrong to buy a $400 console for a $5 game? That was the decision I faced when the Xbox 360 came out, and as it turns out it the right thing to do. GW:RE turned a fantastic easter egg in Project Gotham 2 into a full-fledged arcade game, rippling with color and particles. The action was tuned to perfection, putting the player no more than a couple seconds away from death at even the calmest points in the game, and that felt like utter luxury later on when pulling a train of a few hundred enemies, desperately carving out a path through the swarm. 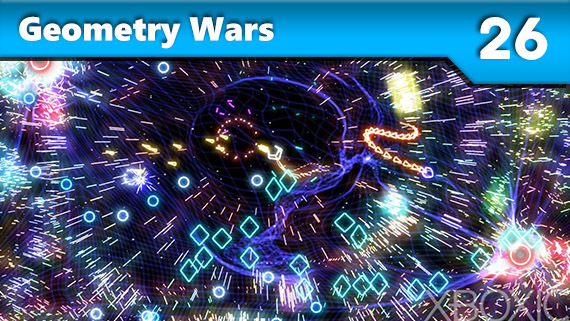 GW:RE justified the Xbox 360, and was an incredible kick-off for XBLA. Lara Croft has been around in gaming for quite some time now and had an image that likely burned itself quite deeply into the psyche of countless young gaming males over that same period of time. As such, it was no surprise that the famous heroine received a rather dramatic and much needed makeover when Square Enix decided to add a newer more modern installment to the long running franchise. 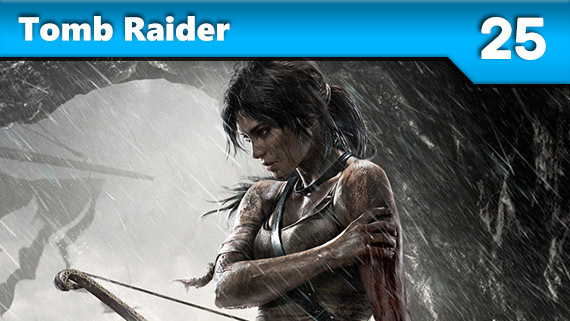 Regardless of how Lara looks, however, the game she starred in was top notch, with great action and a thoughtful story. As far as enormous roleplaying games go, the Elder Scroll’s series has always had a place at the top of the list. Bethesda has consistently managed to deliver expansive worlds to explore, chock-full of optional quests, dungeons to discover, characters aplenty to engage, and beautiful sights to see. 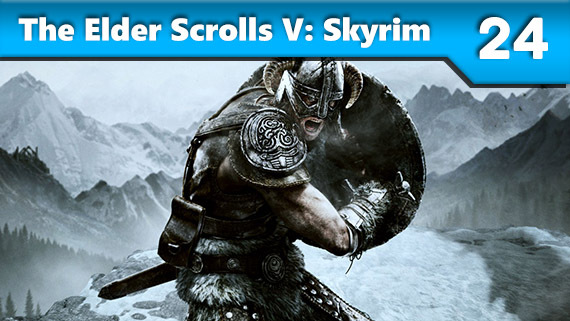 Despite their accomplishments across the long-running series, it wasn’t until the release of Skyrim that the potential for a living, breathing world had been unleashed upon us, offering a deep, captivating fantasy-world simulator. The addition of dragons, coupled with their lore and powerful magic, makes for an adventure worth losing hundreds of hours to. Superheros haven’t always been given a fair chance in the video game world. Most of their releases have been cruddy movie tie-ins, released alongside films for a quick cash-grab. Fortunately, Rocksteady Studios set to correct this error within the gaming industry in 2009 by dropping upon us a Batman game that not only offered an elaborate comicbook-esque storyline, but also made you feel like the Bat himself, complete with an arsenal of gadgets, impressive combo-based fighting moves and engaging stealthy gameplay. 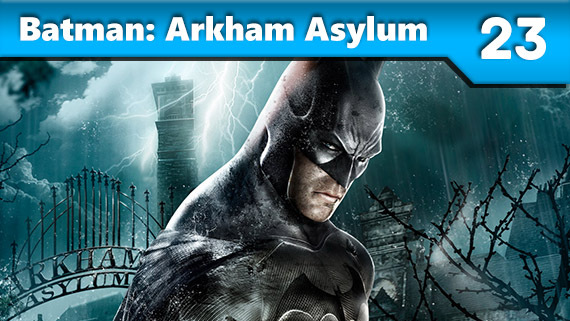 Exploring the Arkham Asylum introduces various villains of the Batman universe, and plenty of surprises to keep you guessing. 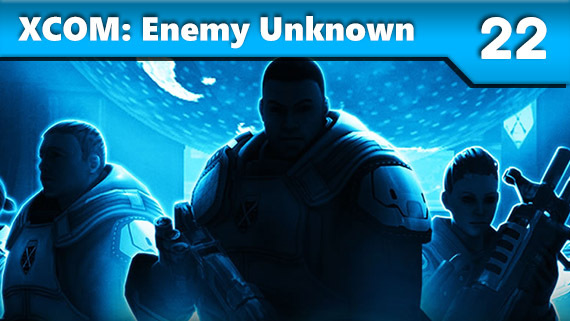 XCOM: Enemy Unknown is a success on an immeasurable amount of levels. Perhaps what’s most striking about Enemy Unknown, though, is its ability to give players something on-par with today’s gaming expectations, while concurrently providing that distinct sense of playing something from a long forgotten era of gaming, thanks to the elicitation of face-punching nostalgia. In finding the harmony between all of this, we are treated to a game that feels both new and indescribably familiar at the same time. Being able to implement newfangled mechanics without losing the spirit of a cult-followed game, established two decades ago, is impressive in itself. The game may not out-do some of the others on this list in areas such as narration or existential thought provocation, but it doesn’t need to – it’s merits lie in an entirely different realm that are important in their own way. 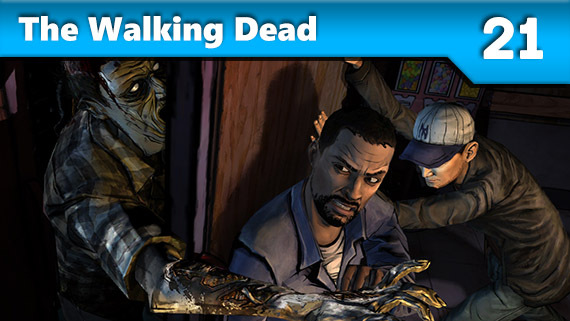 Not only is The Walking Dead one of TellTales Games best titles to date, it’s also one of the best games of this generation. Most impressive isn’t just its grisly depiction of a post-apocalyptic life, but it’s ability to provide a thought-provoking commentary on the human condition, highlighting heartache, disaster and moments of the unwillingness to give up that resides within us all. In this regard, The Walking Dead transcends its medium for all the right reasons. It’s a memoir to everything we have been as a race of people: selfish, fearful, greedy, reckless, loving, compassionate, joyful, conflicted, honest, vulnerable, perseverant, unrelenting, powerless and powerful.